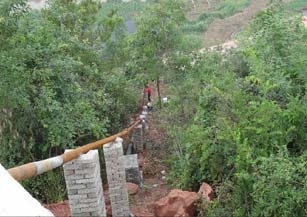 Solution: local farmers utilize Solartech PS7500 system to pump water from boreholeand send it to a small hillside which is 200 meters far away from water sources and 50 meters high, the system’s daily water flow is 100-150 cubic meters. 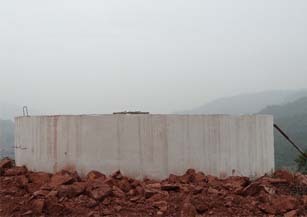 On the hillside there is water tower which can contain 200 cubic meters of water. 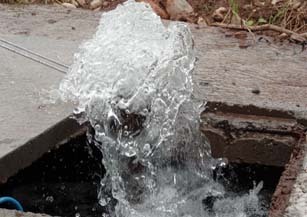 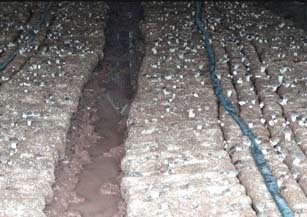 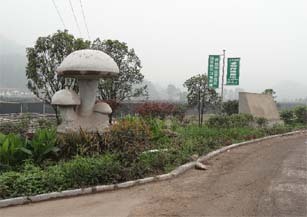 With the help of gravity pressure formed by the hillside height, sprinkling irrigation is used to meet the water demand of mushroom cultivation. 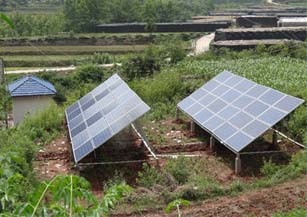 Economic: Solar Borehole Pump system can annually generate 21600KWH, during its 25 years of life span, it can save 203 tons of standard coal and reduces emissions of carbon dioxide 89.3 tons, sulfur dioxide 4.1 tons, 3.1 tons of soot and 52.8 tons of ash.